Costa Rica is one of the few countries in the world that has established a sustainability program for hotels and resorts. Hotels adhere to a rigorous set of rules in order to become certified sustainable. 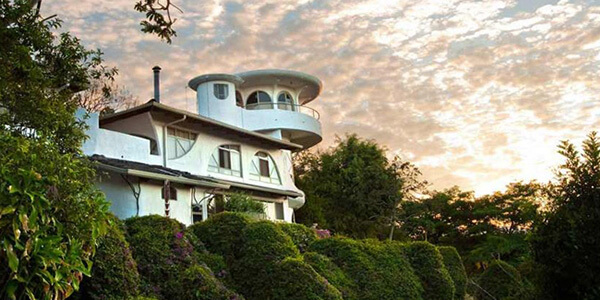 Villa Blanca is surrounded by the breathtaking cloud forest and conveniently located just one hour from San José International Airport. Copa de Arbol Beach and Rainforest Resort is the best hotel for jungle luxury. Jungle treehouses provide a totally unique experience. Capitan Suizo is perfect for anyone looking for a beachfront jungle experience with easy access to the nightlife of Tamarindo Beach. 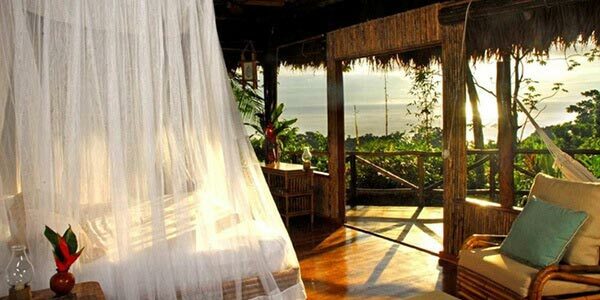 Si Como No Resort Spa & Wildlife Refuge is a Central Pacific coast hotel, nestled in the jungle-covered hills above Manuel Antonio National Park. A luxurious lodge in the mountains of San Jose, Origins is an opportunity to enjoy great views and detailed attention while disconnecting from the world. In Costa Rica, travel is almost synonymous with ecotourism. And for good reason: though smaller than the state of West Virginia, this tiny nation is big on biodiversity. Within hours, you can travel from tropical beaches to cool mountaintops, from exotic rainforests to misty cloud forests, from pristine white-sand beaches to active volcanoes – the options are almost infinite! And with this smorgasbord of sights and experiences comes an equally varied selection of Costa Rican eco resorts – hotels, villas, and all-inclusive resorts that cater as much to the environment as to your comfort. In Spanish, costa rica means “rich coast,” an homage to the nation’s spectacular natural resources – and a namesake the country is passionate about protecting. Costa Rica is regularly singled out as one of the world’s greenest nations, thanks to its environmental policies, responsible tourism projects, and initiatives to preserve its natural habitats and wildlife. In fact, more than 26% of Costa Rica’s land area is designated as national park, private reserve, or wildlife refuge! These protected lands shelter incredible natural diversity, including an estimated 4% of the planet’s total land animal species. Ecotourism is a major industry in Costa Rica. When you choose to travel sustainably, it’s about more than a guilt-free vacation: you’re supporting local communities, helping fund land and animal protection, and investing in a better, greener future. And it starts with selecting your favorite eco resorts in Costa Rica – sustainable accommodations that promise an incredible AND low-impact vacation. To promote and classify the country’s eco resorts, the Costa Rican Tourism Board (ICT) has developed an initiative called the Sustainability Certification Program. This program provides detailed guidelines for hotels to promote environmental programs and sustainable practices. Eco resorts in Costa Rica are rated on a scale of one to five leaves (five being the most eco-friendly options), which take into account three basic categories: Administration of Cultural and Natural Resources, Economic Success that Contributes to National Development, and Quality of Life Improvements in Surrounding Communities. Individual factors within each category include recycling projects, reduced energy consumption, hiring from within local communities, and the use of eco-friendly cleaning products. Choosing among Costa Rica’s top eco resorts is no small task. We’re here to help. Our travel consultants know these hotels and can help you choose the most eco-friendly resort that meets all your other criteria for price, star rating, and amenities. Email or call 1-800-606-1860, and let’s start planning your eco-friendly Costa Rican vacation today!